In recent years, it has become common for college students in Korea to delay graduation by one or two years. These “professional students” — a colloquial term for college students who decide to stay in school for many years rather than to begin their careers —have become a headache to their parents, the universities, and even to themselves. Faced with the tough job market, these college students put off graduation for as long as they could. During this period, many students also decide to pursue English language training overseas. According to the Bank of Korea, one in 10 college students and one in two from prestigious Seoul universities went overseas for language training last year. This brings the total to approximately 125,000 college students; this is the first time the number of such students exceeded the 100,000 mark. The students’ destinations include English-speaking countries such as the United States, Canada, Australia, and New Zealand, as well as countries in Africa, Latin America, the Middle East, and Asia, especially China. Overseas language training is not limited to college students. For instance, 50,000, 90,000, and 30,000 students at the primary, middle, and high school levels, respectively also went overseas last year for short-term language training, mostly in English-speaking countries. Most college students pursue language training overseas in order to improve their job-related credentials. However, recruiters may not necessarily equate overseas language-training certificates and high TOEIC, TOEFL, and TEPS scores to higher job-related skills. Moreover, the effectiveness of overseas language training is still unclear. For instance, while overseas, some students reportedly hire friends to attend classes in their place. Moreover, many Korean students room together at the dorms, and thus end up communicating mostly in Korean than in the foreign language they intended to learn. Without using the foreign language daily, it would be difficult to gain fluency. Parents must therefore take these considerations in mind when deciding whether to send their children to study language overseas. Even if such overseas training programs are effective, it is an expensive endeavor, with many parents borrowing money to pay for the training. The Bank of Korea estimated that Korean families spent a total of ₩5 trillion (US$4.5 billion) last year for their children’s overseas studies. It costs about ₩45 million (US$40,000) for a student to undergo one-year language training overseas, which is twice the per-capita income of Koreans. What many parents and students do not realize is that mastering a foreign language does not have to be expensive; there are many other cheaper but equally effective ways to do. In this era of mobile technology and hyper-connectivity, the only investments parents and students need are the curiosity and patience to learn another language. For instance, parents with a high English proficiency may teach the language to their children themselves. Another useful way to master English is to read a local English daily regularly. The Korea Times, for example, uses 10,000 vocabularies that are also found in English proficiency tests such as the TOEIC, TOEFL, and TEPS. Thus, reading an English daily may be an effective alternative to studying for and taking the above tests. For beginners, a local English daily, rather than foreign dailies such as The New York Times and USA Today, may be a good place to start learning English because it uses the English language to chronicle Korean news, events, and issues that are relevant and familiar to the student. Dr. Park Myung-seok, a professor emeritus of the English Language Department of Dankook University, is an ardent advocate of this method of learning English. He has advised college deans and presidents on the issue of helping students learn English through reading local English dailies. He lamented that even English-language professors seldom appreciate the usefulness of local English dailies for helping students develop their language proficiency. This writer agrees with Park that English dailies can be an effective tool for mastering English, and I am not just saying this out of self promotion. I speak based on my own experience; having been an avid reader of local English dailies since college, I consider myself a role model for students struggling to learn English. Other shining examples of people who have taught themselves English by reading local English dailies include the late President Kim Dae-jung, the late fashion designer Andre Kim, and Korea International Cooperation Agency President Park Dae-won. Another important point that many English learners sometimes forget is that developing one’s fluency in the Korean language is also important in mastering English, as a limited knowledge of the Korean language can also limit one’s potential for learning a foreign language. Just as native English speakers do not automatically mean they speak and write English well, native Korean speakers do not necessarily have a mastery of their native language. The growing exodus of students pursuing language training overseas is also a wake-up call for colleges, whose curricula focus too much on academic English vocabulary, which is seldom used in daily life. This is also a call for the Education Ministry to review its policy of excluding current English in official tests. Seoul, in particular, needs an educational policy to help parents teach their children English rather than sending them to expensive overseas programs. Sending children to such programs is like giving them fish; on the other hand, by helping their children learn English using tools such as local English dailies, parents are teaching them how to catch fish. 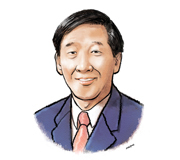 Lee Chang-sup is the executive managing director of The Korea Times. Contact him at editorial@koreatimes.co.kr. 최근 몇 년간 국내 대학생들이 1~2년 졸업을 유예하는 것이 일반화되었다. 취업보다는 몇 년간 대학생 신분을 유지하기로 결정하는 대학생들을 뜻하는 이 ‘학생이 직업인’ 이들은 부모, 대학, 그리고 학생 자신들에게도 두통거리가 되었다. 힘든 취업 시장에 직면한 이 대학생들은 할 수 있는 만큼 졸업을 유예하고 있다. 이 기간 동안 많은 학생들은 또 해외 영어 연수를 받기로 결정한다. 한국은행에 따르면 대학생 10명 중 1명과 서울에 위치한 유명 대학들 2곳 중 1곳은 지난 해 어학 연수를 위해 해외로 떠났다. 이 수치는 약 12만 5천여 명에 달하는데, 이것은 이와 같은 학생들의 수가 10만 단위를 넘은 것은 이번이 처음이다. 이 학생들의 목적지는 영국, 캐나다, 호주, 뉴질랜드뿐 아니라 아프리카, 라틴 아메리카, 중동, 아시아, 특별히 중국도 포함하고 있다. 해외 어학연수는 대학생들에게만 한정된 것은 아니다. 예를 들어 지난 해 5만, 9만, 3만 여명의 초중고 학생들이 각각 영어권 국가로 단기 어학연수를 떠났다. 대부분의 대학생들은 소위 스펙을 쌓기 위해 해외 어학연수를 선호하고 있다. 그러나 채용 담당자들은 고급 직무 능력과 관련해 반드시 해외 연수 인증서를 토익, 토플, 텝스 등의 고득점과 동일하게 보지 않는다. 게다가 해외 연수의 효과는 아직도 분명하지가 않다. 예를 들어 해외에 있는 동안 일부 학생들은 그 곳 수업에 참석하기 위해 친구들을 고용하는 것으로 전해진다. 게다가 많은 한국인 학생들이 기숙사에서 함께 방을 쓰기 때문에 배우려 했던 외국어 보다는 주로 한국어로 의사소통을 하게 되어 버리고 만다. 외국어를 매일 사용하지 않고서는 유창성을 갖추기는 어렵다. 따라서 부모들은 자녀들을 해외 어학 연수에 보낼 것인지 결정할 때 이러한 점을 염두에 두어야 한다. 설명 해외 어학연수가 효과가 있더라도 많은 부모들이 해외 연수를 위해 돈을 빌려야 하므로 비싼 대가가 따른다. 한국은행은 국내 가정이 지난 해 자녀들의 해외 연수에 총 5조원에 달하는 비용을 지불한 것으로 추산했다. 이 비용은 한 학생이 해외 어학연수를 받는데 연간 약 4천 5백만 원이 들어가는 것으로 한국인 1인당 수입의 2배에 달하는 금액이다. 많은 부모와 학생들이 깨닫지 못하고 있는 점은 외국어를 정복하는데 큰 돈이 들어가지 않는다는 것이다. 저렴한 방법으로 동일한 효과를 낼 수 있는 방법이 많이 있다. 모바일 테크놀로지와 접속의 한계를 뛰어넘는 이 시대에, 부모와 학생들이 투자해야 할 것은 호기심과 외국어를 배우려는 인내심뿐이다. 예를 들어 높은 영어구사능력을 가진 부모들은 자녀들에게 직접 외국어를 가르칠 수도 있다. 영어 정복의 또 다른 유용한 방편은 국내 영자신문을 정기적으로 읽는 것이다. 예를 들어 코리아타임스는 토익, 토플, 텝스와 같은 영어 능력 평가 시험에서 나타나는 10,000 어휘를 사용하고 있다. 결국 영자신문을 읽는 것은 상기 시험을 대비하고 또 치르는데 효과적인 대안이 될 수 있다. 초보자들에게는 해외에서 발행되는 뉴욕타임스나 USA 투데이와 같은 해외 영자신문보다 국내 영자 일간지가 영어를 배우는데 보다 효과적인데, 이는 국내 뉴스, 사건, 이슈들이 학습자들에게 친숙하고 또 관련이 있기 때문이다. 박명석 단국대 영문과 명예 교수는 이러한 방식으로 영어를 배우는 것에 열렬한 지지자 가운데 한 사람이다. 박 교수는 대학의 총장들과 학과장들에게 국내 영자신문 읽기를 통해 학생들이 영어를 배울 수 있도록 하는 문제에 대해 조언을 주기도 했다. 그는 영어를 가르치는 교수들 조차 학생들의 영어구사능력 계발을 돕기 위해 국내 영자신문을 활용하는 것에 인색하다면서 불만을 토로하고 있다. 본 칼럼니스트는 영자신문이 영어를 정복하는데 효과적인 수단이라는 박 교수의 의견에 동의하는데, 이것은 본인을 자랑하기 위함이 아니다. 대학 이후 국내 영자신문의 열렬한 독자였던 본인의 경험에 근거한 것이다. 이것은 영어를 배우고자 씨름하는 학생들에게 귀감으로 작용할 수 있다. 국내 영자신문을 읽음으로써 영어를 독학으로 정복한 또 다른 사례는 고 김대중 전 대통령과 패션 디자이너 고 앙드레 김 선생, 그리고 KOICA의 박대원 이사장이 있다. 많은 영어 학습자들이 때로 간과하는 또 다른 중요한 문제는 국어 능력에 있어서 유창성을 계발하는 것이 영어를 정복하는 데에도 중요하다는 점인데, 국어 구사능력이 제한될수록 외국어를 배우는데 있어서도 한계로 작용할 수 있기 때문이다. 원어민들이 말하고 쓰는 것을 저절로 잘하게 된 것이 아니듯, 한국인 화자들도 모국어를 정복했다고 볼 수는 없다. 해외 연수를 위해 떠하는 학생들의 이동이 증가는 대학들에게 경종이 되고 있는데, 대학 교육과정은 학문적인 영어 어휘에 치중함으로써 일상생활에서 좀처럼 사용되지 못하고 있는 실정이다. 이것은 또 교육부가 공식 시험에서 현행 영어를 배제하는 정책을 검토하도록 하는 경종이 될 수가 있다. 정부는 특히 비싼 해외 연수를 위해 자녀를 내보내는 대신 부모들이 자녀 영어교육을 시킬 수 있는 교육 정책이 필요하다. 해외 연수 프로그램에 자녀를 보내는 것은 그들에게 잡은 고기를 주는 것과 같은 반면, 국내 영자신문과 같은 수단을 활용해서 영어를 가르치는 것은 잡은 고기가 아닌 고기 잡는 법을 알려주는 것과 같다.